Jets' Eric Decker and wife join the June 3 event. The stars are aligning for Boomer & Carton’s celebrity softball game benefiting the families of fallen NYPD officers Brian Moore, Rafael Ramos and Wenjian Liu. Country singer Jessie James Decker will perform the national anthem on Wednesday night, June 3 at Yankee Stadium, WFAN co-host Craig Carton said Monday. 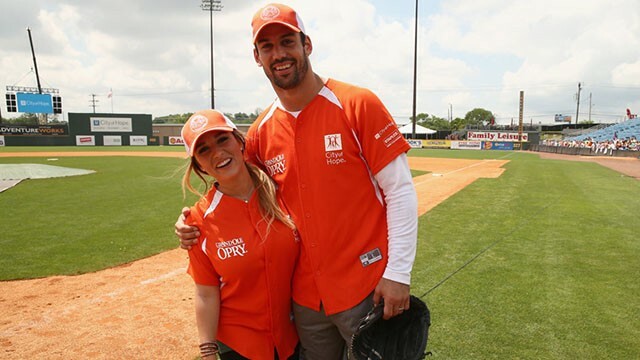 Her equally famous husband, New York Jets wide receiver Eric Decker, also has pledged to play in the game. To continue reading, please visit CBS.